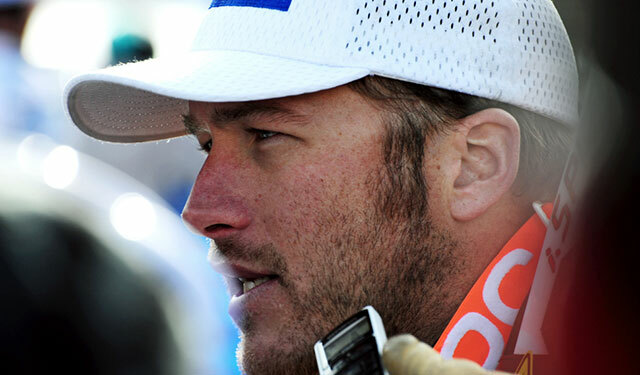 Bode Miller announced Monday he is set to make his debut as an on-air analyst for NBC ski broadcasts. Miller, one of the most successful alpine racers in American history, once admitted to competing while still drunk from the night before and has no qualms with speaking his mind publicly. "We're looking forward to Bode bringing his go-for-broke style from the slopes to the booth," John McGuinness, an NBC Sports coordinating producer, told the LA Times. Miller’s first telecast is scheduled for early December at the World Cup event in Beaver Creek, Colorado. The winner of six Olympic medals has not officially retired but has said he will probably not race in the 2018 Winter Games. "I love to watch and analyze ski racing, so that part should be very natural for me,” he said in a statement. “I love trying new things, and calling a race live will be a new experience." Many skiers may recall Miller’s infamous brush with NBC when their on-location reporter Christin Cooper repeatedly badgered him with questions about his brother's death just after he tied for a bronze medal in the men's super-G at the Olympics in Sochi, Russia.